Astronomers May Add Planets to Solar System Astronomers meeting in Prague are considering a new definition for the word "planet." Under the new rules, Pluto would still qualify as a planet, despite its small size. But some say the rules would open the door to dozens of new planets. 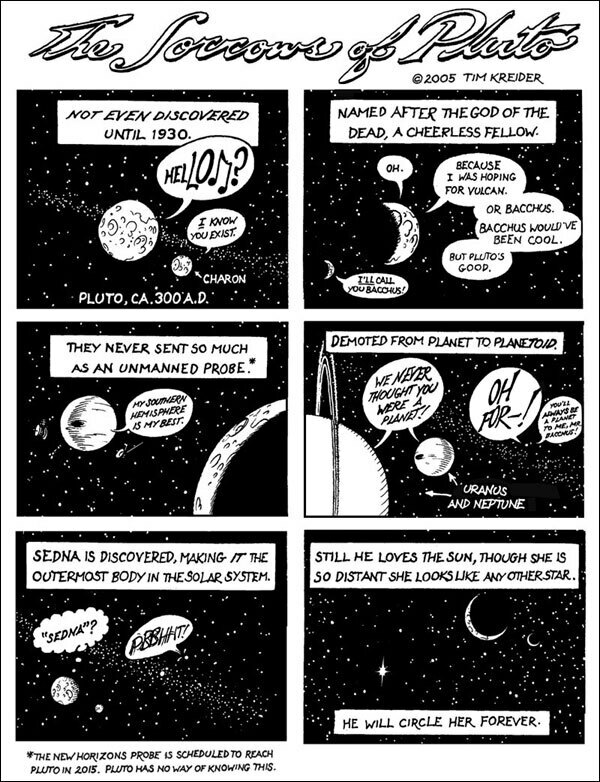 The Sorrows of Pluto. 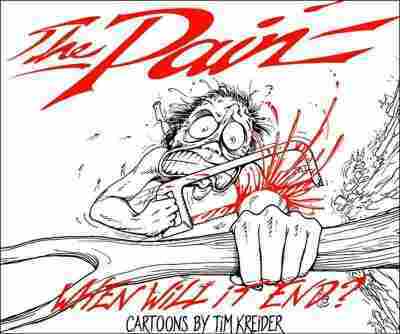 Click enlarge for full cartoon. An artist's conception of the solar system's new planetary lineup, if International Astronomical Union members vote to approve a panel's recommendations. The three new planet candidates, Ceres, Charon and 2003 UB313, are drawn to scale in this image, and may be easily confused as specs of dust on your computer screen. Astronomers from around the world are meeting in Prague to reconsider what qualifies as a planet. Under the new rules, proposed by an International Astronomical Union panel, Pluto would still rank as a planet, despite its small size. Besides reaffirming the status of puny Pluto -- whose detractors insist it shouldn't be a planet at all -- the new lineup would include 2003 UB313, the farthest-known object in the solar system, nicknamed Xena and discovered by a California scientist; Pluto's largest moon, Charon; and the asteroid Ceres, which was a planet in the 1800s before it got demoted. The proposal has drawn mixed reactions, however. Some say it could open the door to dozens of new planets. But the proposal could change. The nearly 2,500 astronomers from 75 nations meeting in Prague to hammer out a universal definition of a planet will hold two brainstorming sessions before they vote on the resolution next week. Associated Press contributed to this summary. Discovery: When Ceres was discovered in 1801, it was considered a planet. 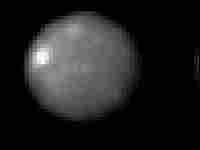 But astronomers couldn't figure out its shape, so Ceres was downgraded to an asteroid. Why a Planet: Modern telescopes reveal that Ceres is round, which means it's large enough for its own gravity to pull it into a nearly spherical shape. Such self-determining gravity is part of the IAU's new definition of a planet. 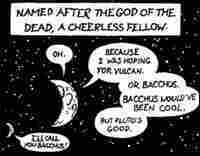 If Ceres gets membership, it would be described as a "dwarf" planet. Dwarf planets are any planets smaller than Mercury. Size: 580 miles in diameter, about the size of Texas. Pluto is 14 times more massive than Ceres. 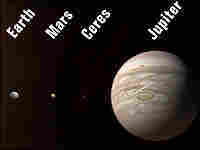 Nearest Neighbors: Tens of thousands of asteroids in a belt between Mars and Jupiter. Day on Ceres: A standard Ceres day is nine hours long. Discovery: Charon, seen far right in this image with Pluto, wasn't discovered until 1978. The two worlds are so close they typically blur together when viewed through ground-based telescopes. Why a Planet: Pluto's former moon has been upgraded to "large companion" and planetary status. Charon is no longer considered just a moon; it doesn't orbit around Pluto. The pair orbit each other, which means they're now considered a "double planet" system. Charon is also considered part of a newly proposed category of planets, "plutons." These are planets whose orbits around the sun take longer than 200 years to complete. Size: About half the diameter of Pluto, at 728 miles. 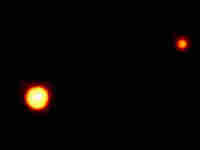 Nearest Neighbors: Nix and Hydra, two moons the Hubble space telescope discovered in 2005. Charon is about 12,000 miles away from Pluto. Nix and Hydra are 30,000 to 40,000 miles away from Pluto. Location: Three billion miles from the sun. Discovery: In 2005, Caltech's Michael Brown reported a roundish object hanging out far beyond Pluto, but still orbiting our sun. He unofficially called it Xena. Why a Planet: Images from the Hubble Space Telescope show that Xena is larger than Pluto. Its mass means it has enough gravity to pull itself into a rounded shape, and it orbits the sun — the two new IAU proposed planetary requirements. Size: Xena's diameter is 1,490 miles, about half the width of the United States. Pluto's diameter is 1,422. 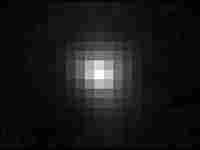 Nearest Neighbors: At 10 billion miles from the sun, Xena's neighbors are a swarm of icy rocks known as Kuiper Belt objects.